Why purchase a buy-to-let property in the south of France? The two most important factors that you as an investor should consider when looking into a buy-to-let property, are a) whether your property is likely to go up in value (capital appreciation) and b) the possible rental yield. 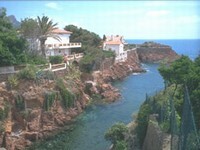 The south of France is a perfect choice for both, with the French property market not having yet peaked. 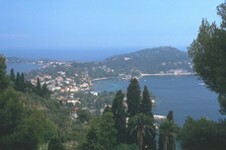 The south of France is a hugely popular tourist destination, especially amongst Europeans. Nice International Airport is France's largest airport outside Paris and its second terminal has recently expanded to cater for the large number of low cost airlines such as easyJet and Ryanair now operating in Nice. The Côte d'Azur is less than a two hour flight for most European capitals such as Berlin, London & Moscow. You are guaranteed a mild climate in the winter and a wonderfully long, hot summer. Property prices increase in areas where there is high demand but low supply. The Côte d'Azur is the perfect example. Building land is limited as the French government has implemented stringent building restrictions to prevent overdevelopment. Many areas along the coast have been designated 'green zones' which can therefore never be developed. Therefore the supply of building land for property is extremely limited, but the demand for property in this beautiful and highly desirable part of France is incredibly high. The other important factor which has led to high capital appreciation is that the overall personal income of the foreign buyer is a great deal higher than the personal income of the French resident buyer. This has had a dual effect of further increasing the value of property and also increasing the demand for rental accommodation amongst the French residents who are taking advantage of the high prices by selling their properties, releasing their capital and renting. The south of France offers a huge seasonal rentals market. This covers the entire spectrum of properties from small studios in Nice to large villas and palaces in St Tropez. In fact in 2002 there were over 68,000,000 overnight stays and over 5,000,000,000 euros spent by tourists on the Côte d'Azur. Cannes is the segment of the French market with the highest demand for tourist/business rental accommodation and is highly likely to retain excellent capital appreciation. It is an extremely popular area amongst tourists. According to the INSEE (L'Institut National de la Statistique et des Etudes Economiques), over the past three years the average number of tourists visiting Cannes per annum is 9.4 million. At 22%, the British make up the largest proportion of visitors. And unlike most other towns along the coast, Cannes is less exposed to fluctuations in tourist numbers due to the many conferences and congresses that are held throughout the year. The most famous of these is of course the Cannes film festival. Others include MIPIM which focuses on commercial property and the ILTM (the International Luxury Travel Market). In total twenty seven events and conferences are held in Cannes throughout the year; one in every five visitors to the Riviera is a business man or woman who stays for an average of five nights. Cannes therefore not only attracts the ordinary tourist but also business men and women who have higher expenditures than the average. The rise in the price of property in Cannes over the past three years has been significant. According to the FNAIM (a body which regulates, insures and advises French estate agents), the increase reached as much as 22% in 2003, compared to 12.1% in 2002 and 14.2% in 2001. The town has recently adopted into their budget the 'Plan Vert' which means that more than 10,000,000 EUR will be injected into 'beautifying' several of the principal roads. So it looks as if property in this area this will continue to appreciate at a high rate. In order to see maximum returns on investment, the French estate agent Attika International advises the purchase of a studio, one bedroom or two bedroom apartment in the centre of Cannes in the area know as 'La Banane' (the southern half of Cannes so called because of its shape). According to Attika International, high returns can be expected on an investor's own equity with the cost of borrowing at 4% and even taking into account a lower-than-expected capital appreciation of 6% pa (two bedroom apartments increased by 22% last year according to the FNAIM). The Rue d' Antibes and the side roads running off the Rue d'Antibes going towards the sea are also excellent for rental and are significantly cheaper. Please note the percentages quoted above are gross and based on purchase price only. They do not include other standard charges, solicitor's fees, mortgage interest, bills, maintenance etc. For those seriously considering a buy-to-let property, it is worth looking into the tax issues which may apply to your purchase. This is a tax paid by the owner of the property. The charge is based on the estimated rental value of the property in the previous year, adjusted for inflation. Properties which have just been built or have been substantially renovated are usually exempt for two years from the 1st of January following completion of works. This tax is paid by the occupier of the property and is probably the nearest equivalent to the UK's council tax. Taxe d' habitation is based on a number of things, eg: the size of the property, the location, the utilities it uses, the number of bathrooms, whether or not there is a swimming pool on site. Bear in mind that the property has to be habitable. If it can't be occupied because for example it is being renovated, it will be exempt for that period. And if you are the owner, and are deemed to be in occupation, i.e. the property is not rented out long term, then you are liable to pay this tax. If the tax base is more than 8,106 EUR then you can use the same formula. However, you will also have an additional tax to pay which will be calculated according to the French tax scale which depends on your family situation. The micro enterprise is based on the assumption that you are not a professional in the property trade in France and because you are not living in France there is a minimum taxation of 25% of the Tax Base. Other taxes which must be taken into consideration are inheritance tax, wealth tax and capital gains tax. These must be assessed on a case by case basis and it is worth you seeking advice from a qualified tax advisor. Attika International can however, provide you with a general summary sheet of these taxes as well as contact details of specialist financial advisors upon request.